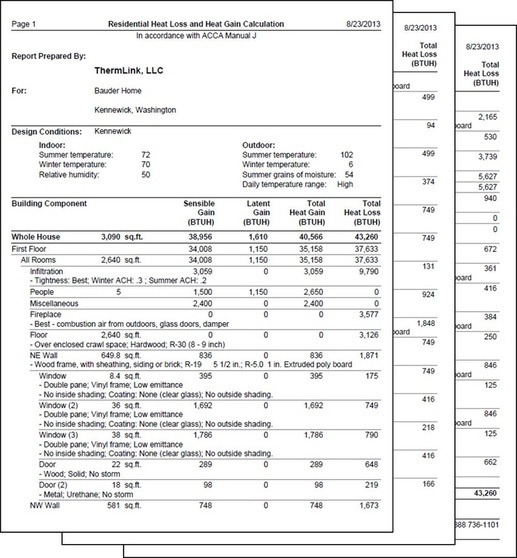 The first design component that ThermLink provides is a heat loss / heat gain calculation in accordance with ACCA Manual J. This critical step is based on the house plans and becomes the basis for the system design. 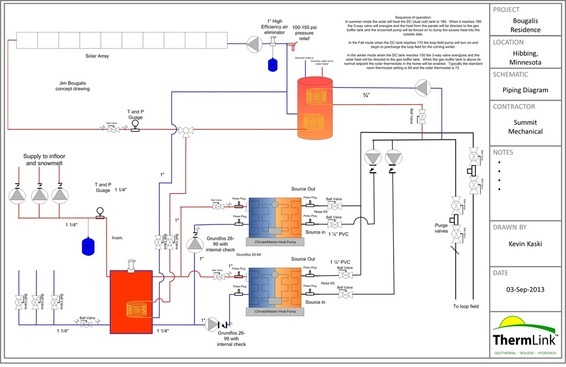 Each ThermLink system includes a complete piping and equipment layout diagram. These provide the HVAC contractor with a solid diagram to follow during installation. 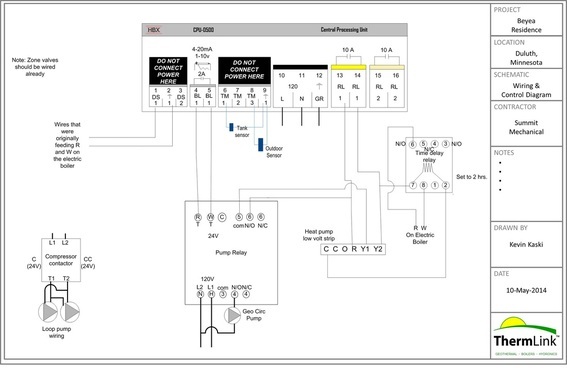 Wiring & controls are often one of the most time-consuming parts of the installation so ThermLink provides a complete diagram for the contractor to follow. 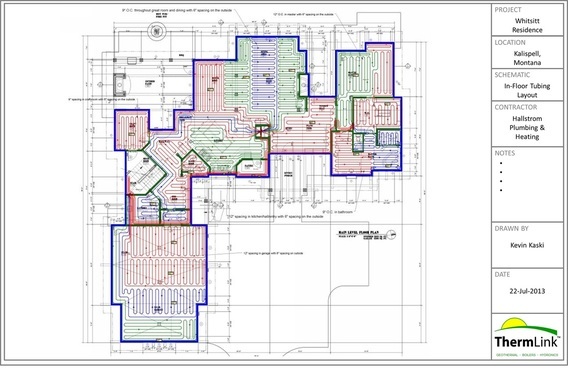 For hydronic systems a complete drawing of the layout of the in-floor tubing is provided. This shows each hydronic zone, the tube spacing, and the locations of the manifolds.